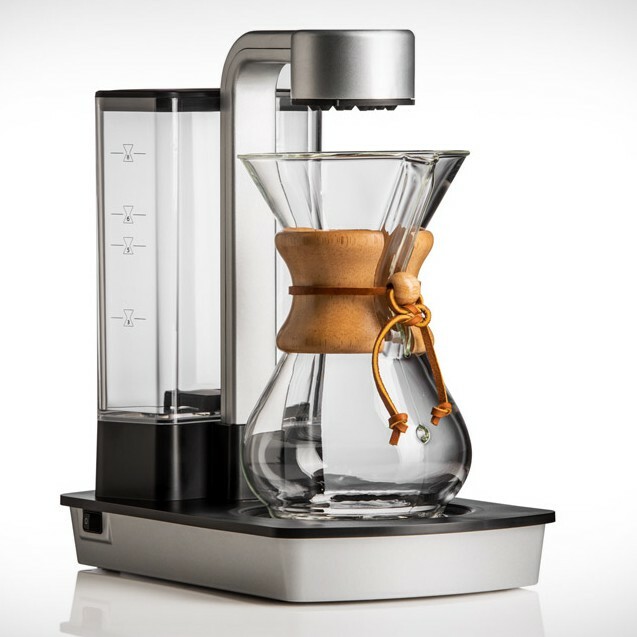 Chemex OttoMatic. Automatic filter coffee from Chemex. Chemex is considered a cult in the world of coffee ware. 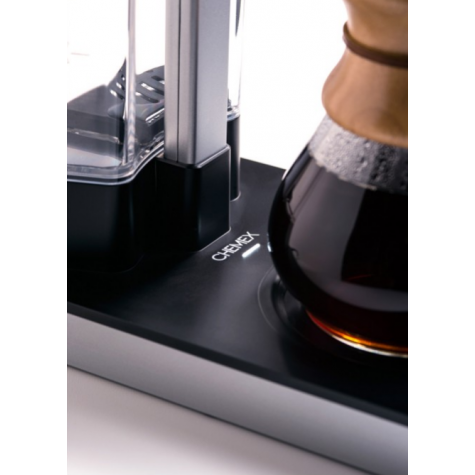 Now presents the Chemex OttoMatic, a perfect way to make your coffees filters more easily and with perfect results.The elegance of the glass CHEMEX carafe fits perfectlly with Chemex OttoMatic minimalistic design. The beauty and science can be one in the same. 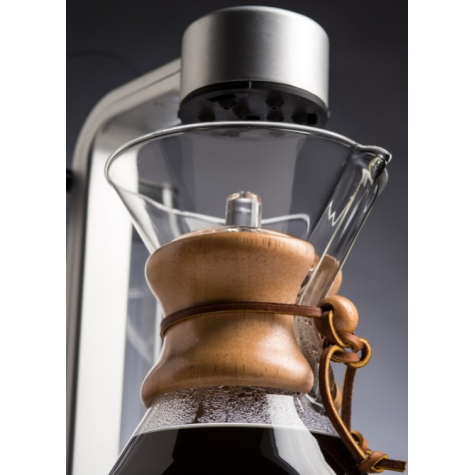 This is the lasting beauty Chemex philosophy expressed in this case with the unmistakable quality and functionality effortlessly. - Heating water to the Specialty Coffee Industry target temp from 197.6F to 204.8F. - Hot Plate which keeps the coffee warm without burning or compromising flavor. 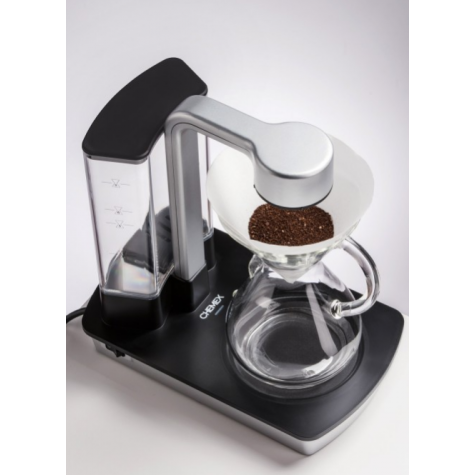 Fits all 5, 6, 8 cup Chemex coffeemakers.